IRVINE, CA--(Marketwired - Feb 16, 2016) - Lantronix, Inc. (NASDAQ: LTRX) -- a specialized networking company providing smart IoT and M2M connectivity solutions -- today announced that Kevin Yoder has been appointed as vice president of worldwide sales, effective March 7th. 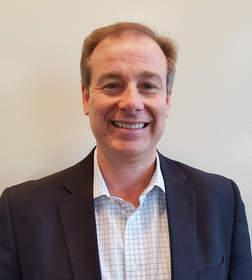 "With more than 25 years of experience in building and leading successful enterprise sales teams, we believe that Kevin will be a key contributor in driving Lantronix toward greater success," said Jeffrey Benck, Lantronix president and CEO. "We are excited and pleased to have someone with Kevin's experience, skills and relationships joining the Lantronix leadership team." "Lantronix has a solid reputation for delivering innovative solutions that address critical M2M and IoT deployment issues," said Yoder. "I am extremely excited to have the opportunity to work with Jeff and the rest of the Lantronix team to help take our offerings and position in the Internet of Things market place to the next level." Most recently, Yoder served as vice president of sales for the Americas region at Avago Technologies (now Broadcom Limited), where he was responsible for driving more than $1.3 billion in annual revenues. Prior to joining Avago, Yoder was vice president of worldwide sales for XMOS, a start-up semiconductor company. Earlier, he held sales leadership positions at Analog Devices, Texas Instruments, and CoWare. Yoder earned a bachelor of science degree in electrical engineering from Notre Dame University. Lantronix, Inc. (NASDAQ: LTRX) is a specialized networking company providing M2M (machine to machine) and IoT (Internet of Things) solutions. Our products deliver secure connectivity, device management and mobility for today's increasingly connected world. By networking and managing devices and machines that have never before been connected, we enable our customers to realize the possibilities of the Internet of Things. Founded in 1989, Lantronix pioneers robust, intelligent and easy to deploy solutions for mission critical applications in a wide range of industries, including data center, medical, security, industrial, transportation, retail, financial and government. Lantronix is headquartered in Irvine, California, with offices in Europe and Asia. For more information, visit www.lantronix.com. This news release contains forward-looking statements, including statements concerning our market positioning, future growth and performance. These forward-looking statements are intended to qualify for the safe harbor from liability established by the Private Securities Litigation Reform Act of 1995. We have based our forward-looking statements on our current expectations and projections. Although we do not make forward-looking statements unless we believe we have a reasonable basis for doing so, we cannot guarantee their accuracy and they are subject to substantial risks and uncertainties that could cause our results or experiences to differ materially. Some of the risks and uncertainties that may cause actual results to differ from those expressed or implied in the forward-looking statements are described in "Risk Factors" in our Annual Report on Form 10-K filed with the Securities and Exchange Commission, or SEC, as well as in our other filings with the SEC. In addition, actual results may differ as a result of additional risks and uncertainties of which we are currently unaware or which we do not currently view as material to our business. For these reasons, investors are cautioned not to place undue reliance on any forward-looking statements. The forward-looking statements we make speak only as of the date on which they are made and we expressly disclaim any intent or obligation to update them after the date hereof to conform such statements to actual results or to changes in our opinions or expectations, except as required by applicable law or the rules of the NASDAQ Stock Market, LLC. If we do update or correct any forward-looking statements, investors should not conclude that we will make additional updates or corrections. © 2016 Lantronix, Inc. All rights reserved.